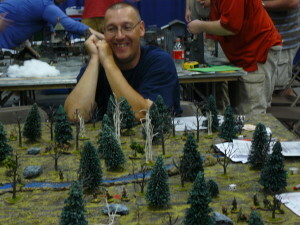 What does Dale, the Evil Mastermind Have in Store for his British Foes? Historicon 2013. 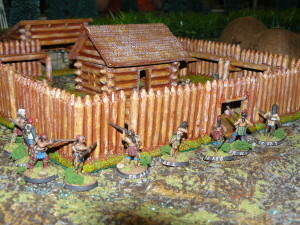 Raid in the Mohawk Valley 1752 during the FIW using Buckskins & Rangers. 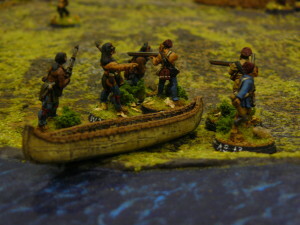 French and Aboriginal Allies come ashore heading towards their Aboriginal Foes’ village at Pickawillany. 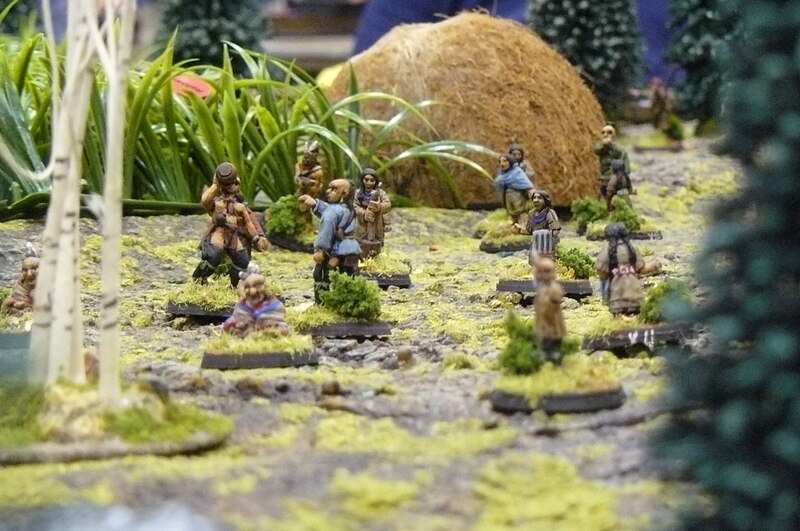 The British Aboriginal allies carry on with their daily activities completely unaware of the approaching enemy. 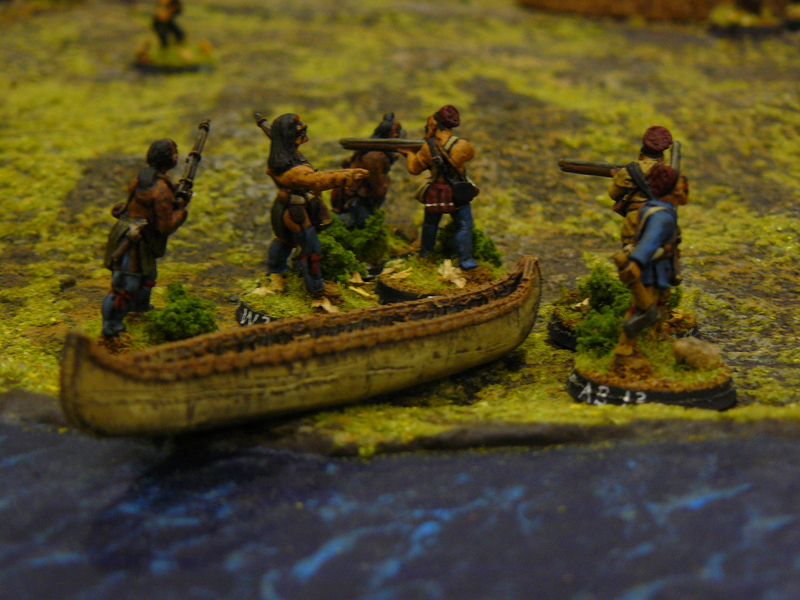 French Allies Raid British Trading Post. 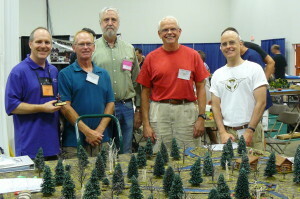 Robin Empey, PELA Award Winner, Game Master and Designer (L) standing with Wargamers John, John, John and Dave (a.k.a. not John) at Historicon 2013. 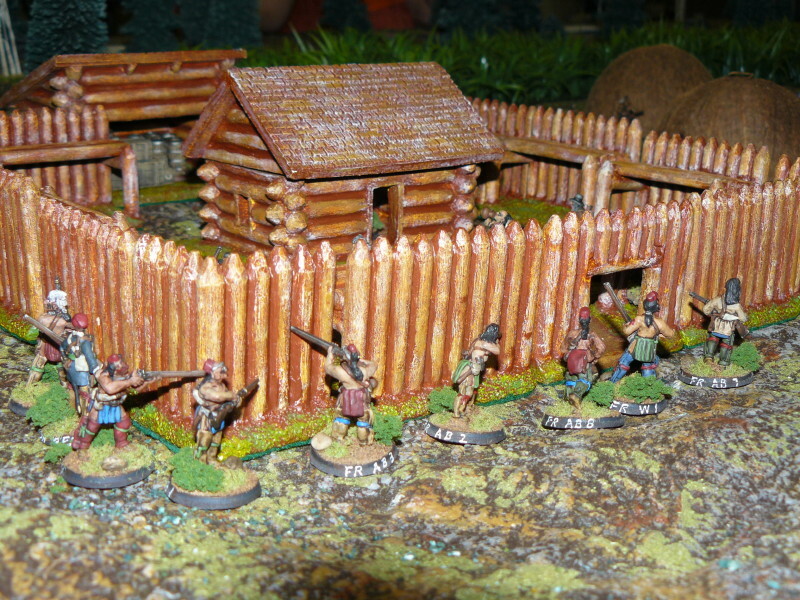 Skirmish at Nanticoke Creek 1814 using Red Coats & War Hawks.